Towards the purchase of Learning Without Tears supplies and materials. Do you remember your child's first steps? What about their first word? It's an exciting, exhiliarating moment for many parents, grandparents, siblings and friends alike. But for many parents that we work with, the day that their child speaks their first word is a day some thought would never come. Take Gavin for instance. Gavin was 2 when he was diagnosed with Autism. He was able to walk and run and climb well enough, but he hadn't yet said a word. He wasn't responding when his parents tried to get him to imitate their words. He didn't point to things, nor did he try to take their hand and lead them to his objects of desire. He did, however, have "outbursts". His parents described a recent incident in a grocery store when he'd been so upset and they didn't know why. It had taken them almost two hours to calm him, and this had caused them to leave the store without the groceries. Incidents like this weren't exactly frequent, but when they happened they were upsetting for them all. The frustration of not understanding what their little boy was upset about was the most troubling part, they said. Gavin started attending Crossroads Center for Children a few weeks after the incident described above, and has been a student in our preschool program for over a year now. His first word came about a month in, and he has many more now. His delays in speech and language continue to be significant, but for his teachers, therapists and parents, the amount of growth he has had is far more significant than the delays. It's because of the specialized programming at Crossroads. His parents say they never knew about it before they came to Crossroads, but now are huge advocates. Crossroads Center for Children is the school where almost 100 children learn skills that will help them reach the critical steps they need to make progress. Autism is a spectrum of many different individual needs, making challenges for people with communication, social, and behavior skills. We use a special kind of teaching to break skills into sets and steps that help our students make excellent progress and gains that will help them throughout their lives. It is not what is inexpensive but it is what works for our children. Since we are a non-profit school, we have to fundraise greatly to raise most of our money to run our school and provide the type of instruction that our children benefit from. On top of that, when there is something that we want for our students, even for the things most public schools normally have, it comes down to fundraising for us to get it. We rely greatly on people with a heart for our work and mission to help us. 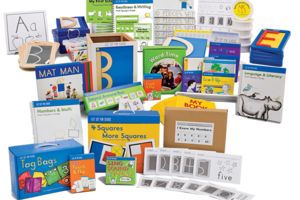 Right now, we are trying to purchase the rest of the Learning Without Tears supplies and materials that are used in all of the classrooms, and in our Occupational Therapy department. Learning Without Tears is a curriculum that has 3 main domains - Language & Literacy, Readiness & Writing, and Numbers & Math. Learning Without Tears is a well-researched curriculum that suits our students and gives them hands-on, concrete learning, builds their strategies to actually learn, and is carried over in many school districts when our students move on from here. We've been using it consistently for almost 3 years and it works well with what we are trying to accomplish. 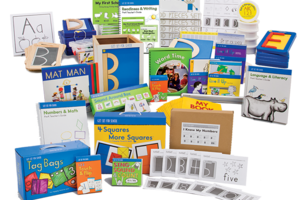 This is part of a larger project budget, but for Giving Tuesday / NYGives Day, we're focusing on fundraising to buy such items as a Kit & Kaboodle Kit for both of our new classrooms, the next level of books for two classrooms who are ready, and some wood pieces for OT. We'll prioritize based upon the funds we can raise, so your help in maximizing this campaign is appreciated! 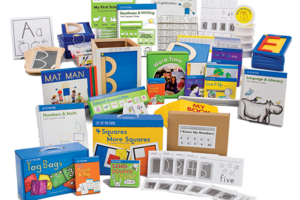 Hands on materials for all 3 domains and teacher manual. Needed for 2 new classrooms. 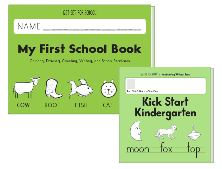 Designed to teach capital formations, letter size, shape, and position words and concepts. Requested by OT Department. Magnetic writing tool and wooden letters to help develop grip and build letters and numbers. Requested by Rooms 6 and 7. 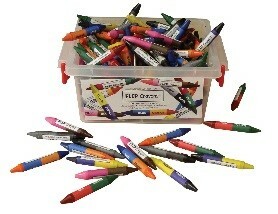 Designed to promote grip and fine motor skills. Requested by OT Department and Room 4. Color Name Plates $8.50 for pack of 30. Visual aids to support writing name. Requested by Room 6. 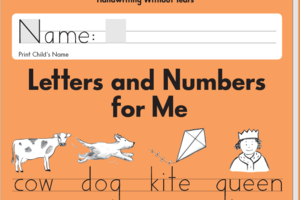 Develop body awareness, drawing, and counting skills. Requested by Room 4. An extension to My First School Book. Ideal for transitional kindergarten. Requested by Room 6. Online program to bring teaching to life, reduce teacher prep time and promote handwriting success. Requested by OT Department. Thank you for your help with our campaign. It is deeply appreciated. PS- we've made some TV shows with our non-profit friends at SACC.TV and The Muffin Man this year, that can give you more information about our school. How you can help a preschool, clinic and school-aged program in Schenectady when you #GiveLearning. Thank you to those folks who have given to our campaign to help us buy the pieces of our curriculum that we need. As a nonprofit school, we rely on fundraising, grants and donations to run the program that the children need to reach their goals. 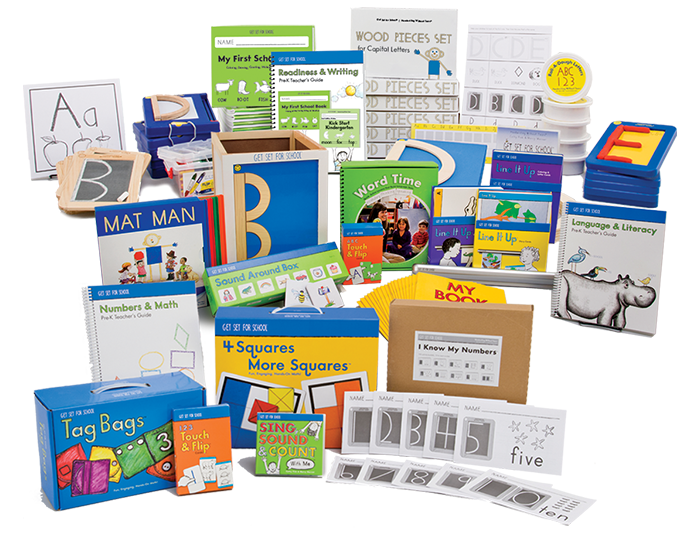 Definitely the tuitions that are set by the state that provide for basic operational needs and minimal staffing do not provide enough funding for us to purchase "extra" materials such as this awesome Learning Without Tears curriculum which has already proven to be successful with our students. That's why we are so completely grateful for the love and support of donations in honor of #NYGivesDay and #Giving Tuesday. Some donations have been made here on this website and others through the mail to our school. Again, thank you! We know how strained finances can be. But no amount is too small. Even a $5.00 contribution can help, and will #GiveLearning to our children! 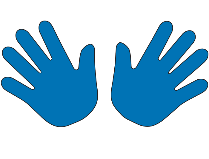 Crossroads is a very special center-based school which operates on the principles of applied behavior analysis (ABA). While we specialize in services for children on the autism spectrum, we also serve students without special needs, and with other needs as well. We are located in Rotterdam, NY, but have students from all over the Capital region. Some come from close by, others from as far as 2 hours each way. Our students range from 2 to 12 years old - we now have 7 preschool classrooms, and 3 that are school-aged. 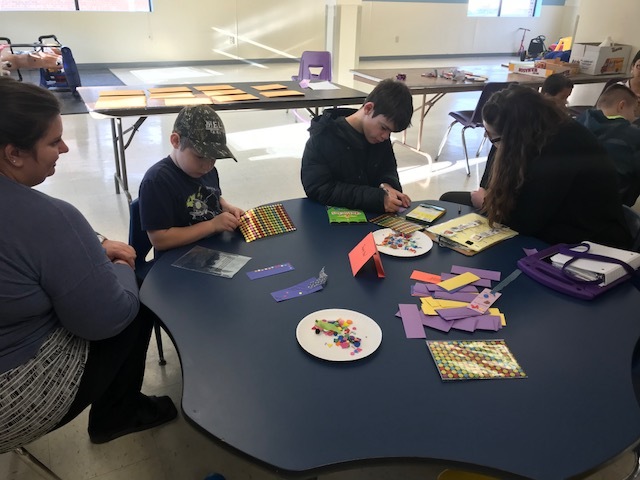 Recently the expansion of our school-aged program new classrooms has been our response to meet the needs of a growing population of special children. All children are special. But as you may know, autism now affects 1 in 68 children. Crossroads is the hope and the answer for so many children and families. The progress is amazing, and the program is superb and dedicated. Thank you very much for your kind consideration of our program as one to contribute to, and for your work and caring in our state and communities. You are making an important difference in the lives of children and individuals such as ours.